Originally published on February 13, 2015 at a Web site no longer in existence. Sought-after speaker, TV guest, author, contributor to a number of popular business magazines, and now fellow team member to this author, discusses the importance of organizational culture and what it truly means to have a values-driven business. I thought the name ringed a little bell. I was familiar with some of his work, mostly his articles in a couple of business magazines. I never really got to dive into any of his books in real detail yet, but it’s certainly nothing against him – every other book author in the world has been deprived of my readership, as well, for a good amount of time now. It’s funny – for a guy who serves on his city’s library board, I can’t remember the last time I’ve read a book from beginning to end. No time. But I do love to learn and take in information any way that I can. It was last summer, 2014, when we learned that Spectrum Communications, my full-time employer here in the Milwaukee area, had been acquired by Stericycle. That’s when I realized that Paul Spiegelman was now our chief culture officer. Having just graduated with my master’s degree in business management from Milwaukee’s Cardinal Stritch University in December 2013, I could easily relate to, and certainly appreciate, Paul’s insights and ideas concerning corporate culture. We both understand that when employees of a firm feel truly welcomed, appreciated, and engaged – when they feel like they’re given a real stake in the company and are a team member in the bigger scheme of things rather than merely someone’s direct report and tucked away in a corner somewhere – they’re going to be motivated to perform better and work harder. The company, in turn, performs better and works harder. Makes sense, right? But not everyone in business gets it yet. We’ll talk a little more about that later on here. But though we both “get it,” Paul, at 56, has a bit more practical experience than I do when it comes to seeing and working with companies that operate, or did operate, under the old management style, in which the hard numbers dictate everything. For me, at 32 and still a recent college grad, this new approach to how we view business and life in general was naturally instilled in me through the college classroom and most of my work experience thus far. My generation has largely grown up on this philosophy and mindset. I asked Paul to talk about his dive into business. I understand he started out practicing law for a couple of years before getting a good case of the entrepreneurial itch. Certainly, he didn’t think he’d turn out to be on the New York Times best-selling list, or a TV guest and writer for magazines like Entrepreneur and Inc. It sounds like one heck of a journey he’s been on. How did it all start, I wondered? Where did the passion for business and for subjects like organizational culture, innovation, and values in business come from? “Well, when it comes to passion, I wasn’t one of those lucky people born with it or able to figure it out early on. Let it come to you, don’t force it,” Paul told me during our nearly one-hour conversation the morning of January 21. Paul went on to describe how his older brother had an alarm company. The boys’ grandfather was in the hospital suffering from congestive heart failure, and they wanted to figure out a way they could help him and others like him in medical emergencies. “We came up with a company that created emergency medical response long before the ‘I’ve fallen, and I can’t get up!’ TV commercials,” Paul noted. The two brothers (and another one got involved, as well) charged a flat $25 per month and were eventually able to branch out to hospitals. “I was the salesperson, even though I never sold anything before. It was a 24/7 business, so my brothers and I took turns sleeping on a cot and staying up all night, waiting for calls,” he recalled. It was April 1985, and the company was BerylHealth. Paul would go on to serve as CEO, and the firm would win numerous and prestigious awards before being acquired by Stericycle in 2012. Right away, Paul and his team got to work, backed by the blessing of Charlie Alutto and other top executives. “Charlie was always on the same page with me. He gets it, and he wants to make this company the best place to work,” Paul told me. Currently, the team is working diligently to allocate culture budgets across the company, monies that would be set aside and only used for rewarding and acknowledging team members. An emergency assistance program for team members was also recently unveiled. The company and many of its 16,000 team members are already onboard with contributing to the plan, which will provide assistance for situations like unexpected medical expenses and disaster recovery. Still being a recent college graduate, I next wanted to pick Paul’s brain for a few moments on the correlation between the classroom and workforce preparation. One argument made by business leaders these days, and in particular, those in the manufacturing sector for a number of obvious reasons (Milwaukee is traditionally a big manufacturing town), is that we as a country are dropping the ball when it comes to adequately preparing our high school and college students for the workforce and for leadership roles in general. There appears to be a big disconnect between formal education and business, however real or perceived that may actually be. I was curious to know if Paul had any particular thoughts or observations of his own on this subject. Somewhat similar to that previous question, I wondered what advice Paul would offer to those starting out in the workforce or starting out as an entrepreneur. Remember that part where I said not everyone in business gets it yet, and that we’ll talk a little more about that later? Well, Paul founded an organization called the Small Giants Community some years back. “We’re a community of leaders that have an annual summit. We’re conducting an international study called the Return on Values (ROV). It’s a research project aimed at small- and medium-sized businesses that studies the correlation between culture and business success,” Paul explained to me. 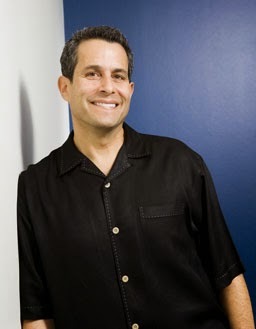 For more information on Paul and his research, or to read his articles or book him as a speaker for your next event, please visit www.paulspiegelman.com . Paul welcomes your questions and feedback, and looks forward to hearing from you.